Global warming could hinder forensic investigations in Indiana. That’s because of the climate’s effect on two species of flies. Forensic entomologists use the age of their larvae to determine time of death — usually by measuring the maggots. The blow fly Lucilia cuprina is typical in southern states from Virginia to California, but global warming is moving the flies north. IUPUI researchers found the fly in Indiana for the first time. That could be a problem for Indiana forensic investigators that are used to seeing the fly’s sister species, Lucilia sericata. Christine Picard researches blow flies and teaches forensic science at IUPUI. She says when this new fly lays its eggs on a dead animal, its larvae doesn’t develop as quickly. “You would overestimate the amount of time that has gone by up to 25 percent just by having done that incorrectly or by failing to identify the correct species,” Picard says. Picard says it’s difficult to tell the two species apart at the larval stage — they even share a lot of DNA. Still, she says, most forensic entomologists would be able to tell the difference, but only if they knew to look. 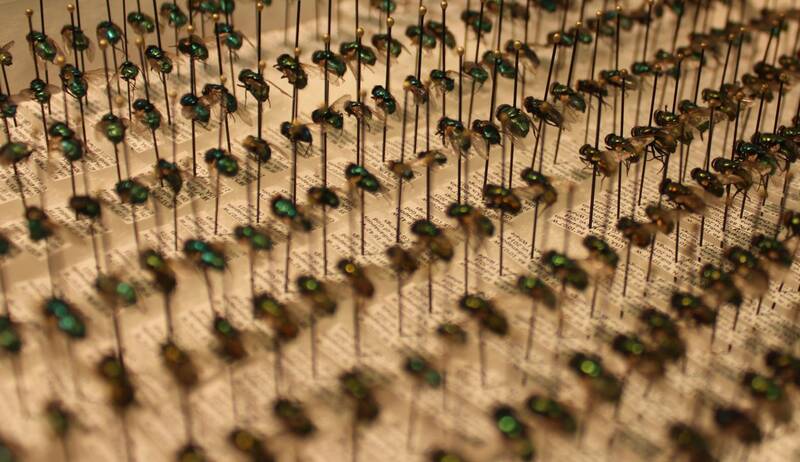 IUPUI researchers took samples of flies in the Indianapolis area and found Lucilia cuprina in every one except in Rensselaer. So it’s possible that the fly hasn’t migrated to the northernmost parts of the state. Picard says all kinds of insects are moving north as warmer weather opens up more places where they can live — including unwanted pests like ticks and mosquitos.